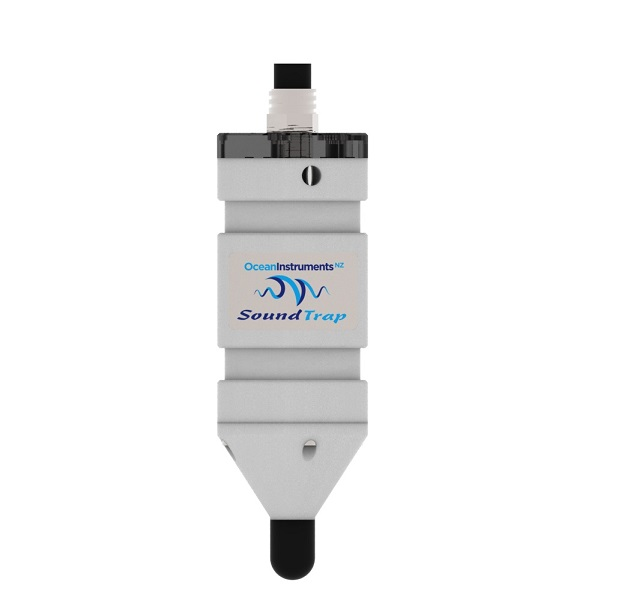 The SoundTrap 300 series are compact self-contained underwater sound recorders for ocean acoustic research. The STD model is intended for general purpose acoustic monitoring with a working frequency range of 20 Hz to 60 kHz. While the HF model offers 20 Hz to 150 kHz bandwidth for high frequency applications. Both feature very low self-noise, ensuring beautiful recordings in even the quietest places. The SoundTrap 300’s internal battery enables continuous recording for up to 13 days, or 56 days on a 10 minute per hour duty cycle. For longer deployments simply plug in the optional ST300B external battery pack for up to 70 days continuous recording. Up to 256 GB of internal memory coupled with lossless audio compression provides storage for more than 70 days continuous recording at 48 kHz. Each instrument is backed by an online calibration history and features self-calibration checks for confirmation of performance in the field. Data offload and battery recharge are done via a high quality wet plug. The housing therefore never needs opening, thereby eliminating the usual worries about o’ring maintenance and moisture ingress. Weighing less than 500 g in air, hydrophone deployment has never before been so easy. Ancillary sensors are included for logging temperature and tri-axial acceleration. The included software offers flexible deployment options for sample rate, gain control, delayed start and duty cycle. Plus the included water proof IR remote control makes for convenient in-the-field ad hoc measurements. STD model here and HF model here.